Ballinger, R,J. & James, D.R. 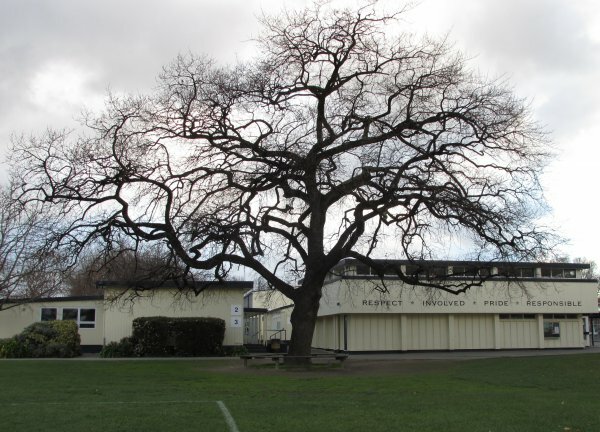 The second of two trees planted in the Marlborough High School grounds on the 4th July 1902 to celebrate the Coronation of King Edward VII and Queen Alexandra by the youngest pupil Myrtle Small on the girl's side of the college (Ballinger & James 1999). See record MR/0585 to view the King Edward VII Oak. Located on the north east corner of the main block.